"I went to see Dr. Cyril yesterday to ask him a question and I was amazed." "I feel so grateful to have been referred to this office." "I very much appreciate the care I experience under Dr. Cyril." "Dr. Cyril is an amazing person that has helped me figure out what is wrong with my back." Dr. George Cyril and his colleagues help patients from throughout the Greater Los Angeles area find the non-surgical orthopedic care they need to live full and active lives from various offices in Los Angeles. Patients have access to expert care including pain management services, regenerative medicine, and sports medicine. Those with spine, neck, or joint pain will find help from this convenient and welcoming practice. Dr. George Cyril began his medical training at the University of California, Los Angeles School of Medicine. After earning his medical degree, he completed a surgical internship at the Harbor-UCLA Medical Center, followed by a residency at the Hospital of the University of Pennsylvania, and a Spine and Sports Medicine fellowship at the prestigious Hospital for Special Surgery ranked #1 hospital for Orthopedics in the United States. On occasion, a patient may need surgery. 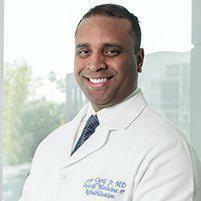 Dr. Cyril has affiliated himself with top surgeons and facilities in the city of Los Angeles. 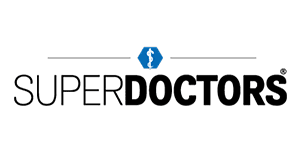 Dr. Cyril has received awards of excellence from world-class healthcare institutions, including SuperDoctors, The Leading Physicians of the World and Yelp. Located in Beverly Hills, Cedars-Sinai is a non-profit, tertiary 958-bed hospital and multi-specialty academic health science center that has been voted most preferred hospital by L.A. residents for over 20 years. DISC Sports & Spine Center (DISC) is one of America’s foremost providers of minimally invasive spine procedures and advanced arthroscopic techniques. DISC’s extensive team of highly specialized physicians utilizes both traditional and innovative solutions to diagnose, treat, and rehabilitate patients within a fully integrated medical facility. The result is an unmatched quality and continuity of care trusted by thousands of patients including many even elite athletes to get back to life. 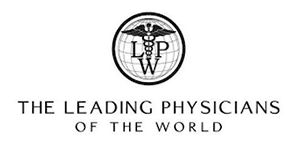 Located in Beverly Hills, LA Peer's medical service focuses on excellent patient care alongside the most advanced treatments and equipment available. Marina Del Rey Hospital is an affiliate of Cedars-Sinai Health System, 145-bed acute care Joint Commission accredited hospital offering general acute medical services and 24/7 emergency care. People choose to live in Marina Del Rey because of its quality of life. Patients choose Marina Del Rey Hospital for its highly focused specialty care, and advanced technologies, to safeguard their quality of life quickly and safely. Please call our office for any questions regarding insurance. 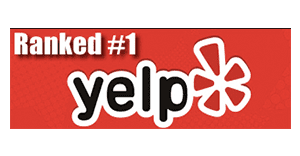 "Dr. Cyril is excellent! His vast knowledge to find and use the most effective techniques with precision is undeniable." "Simply one of the best doctors of ever been to to treat my symptoms. He's kind gentle knowledgeable and caring." "Wow! Patient, caring, thorough, and open minded. So thankful we found him to help my mother. We come from out of town but it's worth the drive." "Dr. Cyril put me under a conservative but aggressive comprehensive pain management plan that did not require surgery." "I have been to two doctors who wanted to do surgery and Dr. Cyril helped me without sending me to surgery. I am thankful for his honesty and expertise."